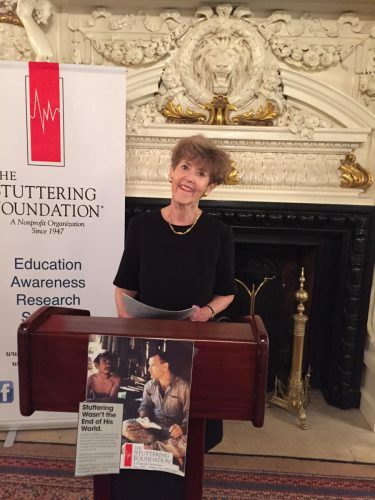 Jane Fraser, president of the Stuttering Foundation speaking at an event. Photo courtesy of the Stuttering Foundation. On this episode we talk with Jane Fraser. She’s the president of the stuttering foundation, a non-profit that provides the resources for the prevention of stuttering in young children and treatment for teenagers and adults. This entry was posted in and tagged Jane fraser, stuttering. Bookmark the permalink.